As soon as you become pregnant, you are faced with a raft of choices. Home birth or Hospital? Breastfeeding or formula? 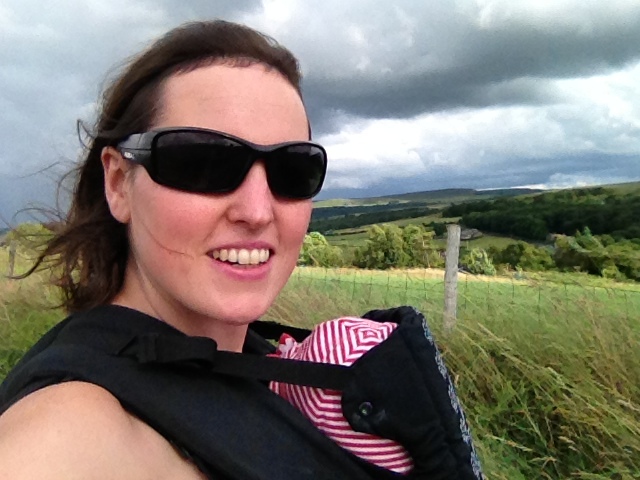 Babywearing or souped-up buggy? Cloth nappies or disposable? Schedule or no-schedule? Puree or baby led weaning? Cry-it-out or rock all night long (not in the pre-baby sense of the phrase, sadly….) You know of what I speak, friends. It’s a ‘expert’ driven parenting jungle out there. I reckon most parents I know use the Jumble Method*, where all choices exist on a spectrum, and are a compromise between ideals and what works in reality for each family’s unique circumstances. In other words – you pick and choose the bits that work for you and your baby. Like our parents did I suppose, only they had fewer books and ‘experts’ so they instinctively knew that they were the experts when it came to their own children. When I was younger, I felt like when my time came, I would be a hippy kind of a mother, though I’m quite sure I had no idea what that entailed apart from breastfeeding. When I became pregnant my main focus was the birth, but with regards to parenting, I was fairly open minded. I wanted to breastfeed. 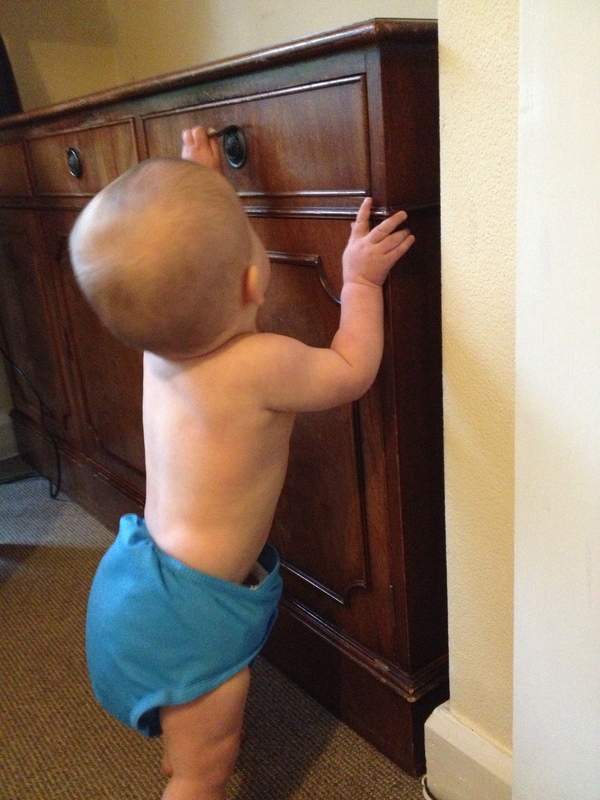 I wanted to cloth nappy. I wanted to make home made food for my baby (I didn’t even know what baby led weaning was…). But I wasn’t going to kill myself trying. Everything else was flexible. I’d heard about attachment parenting at pregnancy yoga classes, but if I’m honest, at the time I thought it all sounded a bit TOO hippy and self-sacrificial. I had no idea how I would feel about a schedule, or sleep training or anything, but I was prepared to try anything once. Even leaving my baby to cry all night if that was what was going to work. After the first few weeks, I was desperate for sleep, so I ordered the Baby Whisperer and spoke to my friend, who told me to establish a bedtime routine as soon as possible, which we did. It went quite well, and we never even needed to leave her to cry, and I was convinced the baby whisperer was a magic formula. (Also, I’m a sucker for both non-fiction and being the member of a club. Weird, I know. I’d like to make badges, like the ones I made for my Strawberry Shortcake club, 1985. I was Strawb. Obvs.) Then she hit 12 weeks, and she woke once, then twice, then eventually she was waking hourly. The health visitor had warned us about co-sleeping, so we didn’t tell her that we let her fall asleep on my chest, with me propped up on loads of pillows. I was obsessed with what she ‘should be doing’ according to the baby whisperer, babycentre, all-and-sundry. This “sleep regression” (thanks, Interweb) went on for about two months, during which time, I set myself the end-point of her 6 month birthday, where ‘They’ assured me she would start sleeping straight through. Like magic. I knew it sounded too good to be true, so gradually I think I stopped trying to control it all. In that time, my Dad said to me “adults couldn’t go thought the pain they have to endure as babies, and they can’t even tell you what’s wrong” as I sat sobbing in desperation while his partner rocked the little one to sleep upstairs. That was when the penny really dropped, that whatever I did, I was her Mum, so it was going to be okay. That sometimes, all she really needed was cuddles. 6 months came and went, and I knew I was in a much better place mentally and emotionally, even though she was still waking several times a night, sometimes spending most of the night next to me in the bed, sometimes being breastfed back to sleep. When she’s sleeping badly or I’m tired and everything seems hideous, I just think to myself “I’m 36 and I would still like a cuddle from my Mum when I’m stressed” and the thought that one day she might not need the cuddles, or that I might not be here to cuddle her is the extra bit of rope I need to get me out of hideous and into compassion again. Through reading blogs mainly, I have learned that much of what I eventually arrived at instinctively is called gentle parenting. I would like to read more about gentle / attachment / natural parenting to get the full scoop on the benefits and historical perspectives. But equally, I’m a bit wary of all parenting books and so-called experts now. It only takes a few words to convince you that either you are superior or a failure, and neither of those states are healthy for the parent child-relationship. 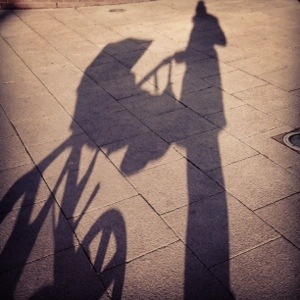 I kind of don’t even want to label myself ‘gentle parent’ – I’d be setting myself up in all sorts of ways, if further down the line, circumstances change. Being the obstinate mule that I am, I’d not want to follow my instinct, for fear of letting down ‘the club’. Besides, if my birth plan taught me anything, it’s that life sometimes bowls you a massive googly, but as long as you all end up healthy and happy then it doesn’t really matter how you choose to play it. What are your thoughts on parenting methods / experts etc.? Did you find them helpful or not? *It’s my title, okay. I coined it. Let that be on the record. Mainly cos jumble is my favourite word of the moment. JUMBLE! JUMBLE! So many happy connotations and memories, don’t you think?! Great post and we definitely follow the jumble method! We tried the baby whisperer and it didn’t work for us at all. We ended up using Ferber’s progressive wait technique for sleep because we reached desperation point. It worked and has continued to work for us. As time has gone on we have become more and more relaxed about what we ‘should’ be doing. and just muddle our way through, taking a lot from him about what works best for him (and therefore us). It’s so difficult as a new mummy and you are reading everything, clutching at straws. Then as they grow and you get more confident I think you start to need the ‘experts’ a bit less. Advice can help sometimes though, we recently followed a lot of advice on helping monkey’s fussy eating! Yes – clutching at straws sums it up perfectly, but you only realise it in hindsight! Thank’s for reading! This jumble method is where it’s at I think! I read Gina Ford when my son was a few weeks old to give me a vague idea of what a routine should look like. I ditched it after about a week but made my own plans, but at least knew a bit more about what to do with a newborn. With my second I seem to be winging it even more, she co sleeps and we will transition when she is ready and wakes several times a night. But she’s happy and so are we and I really think that’s the main thing. Oh you did well to ditch it after only a week! I persevered with BW for ages I think – it started to send me a bit batty! Then one day, lo rolled on to her tummy and went straight to sleep – she’d probably been crying out of frustration and all that shush-pat was probably getting on her nerves! We all eventually learn to trust ourselves and our babies though, eh? I’m a huge fan of the jumble method too! I have had a lot of success picking what I liked from all the different parenting styles and I have happy kids to prove it. I really like your blog a lot! I’m nominating it for the Liebster Award! If you want to participate, just stop by my blog for the details. Keep blogging! It’s jumble all the way for me sister! I have found that the parenting ideas and methods I settled on in the beginning have not only polarised dramatically from some of those which I expected to be practising religiously, but have amalgamated in to a loose yet conscious regime that can most definitely be described as said jumble method! (phrase well coined!) As the changes morph so swiftly for our little ones, it feels best to me too to remain an on-feet-thinker; go with the flow and adapt like a transformer (I have boys) to the newness each day brings. As long as some routine exists within a fairly consistent framework, I think a variety of methods which resonate with both your own nurturing instincts and the needs of your baboos creates a healthy foundation for a balanced path of discovery for your child too. Never think you’ve cracked it as tomorrow will surely prove you wrong! And leave the guilt behind because there always seems to be 100’s of better ways of doing stuff but, no-one else is your kid’s Mama! Gentle parenting sounds lovely. Cuddling rules! Wait ’til they’re answering you back at 3!! PS. Has anyone coined ‘Seat of your pantsing it’ yet?